Udoq’s docking station is compatible with almost any mobile device. 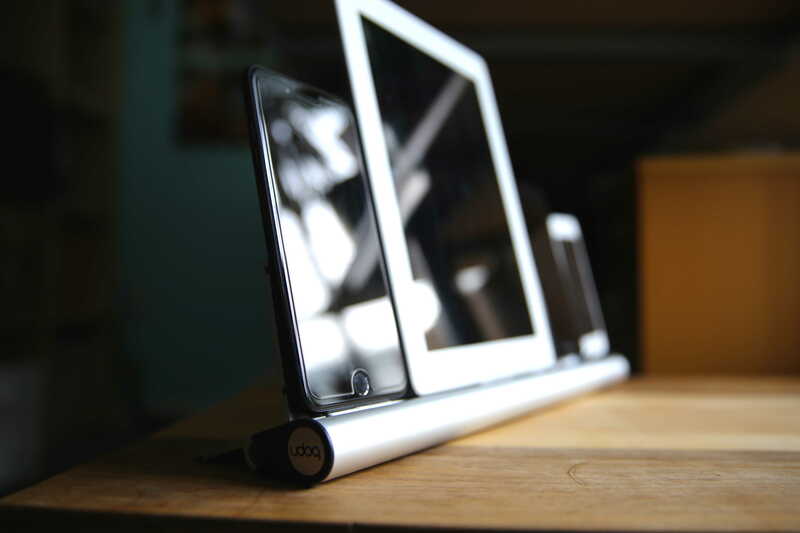 Made in Germany, the Udoq charges all your devices along a single, rubber-backed aluminum shelf. It features a clever slot with sliding connectors for iPhones, iPads and any other similar device. The Udoq comes in a range of sizes, and is fully customizable. Out of the box, it comes with a Lightning connector, Micro USB, USB Type-C and Apple’s 30-pin connector for older iPads and iPhones. But different connectors can be ordered online. We put the Udoq in the kitchen, and everyone docks their phones to charge overnight. It doesn’t quite do away with cables: Each connector utilizes its own 5-foot cable with a standard USB-A plug at the end, which must be plugged into a charging brick or computer. We’re using a five-port charging station with the mess of cables bundled together. All the Apple cables shipped by Udoq are MFI certified. The Udoq comes in four different lengths: 250mm, 400mm, 550mm and 700mm. 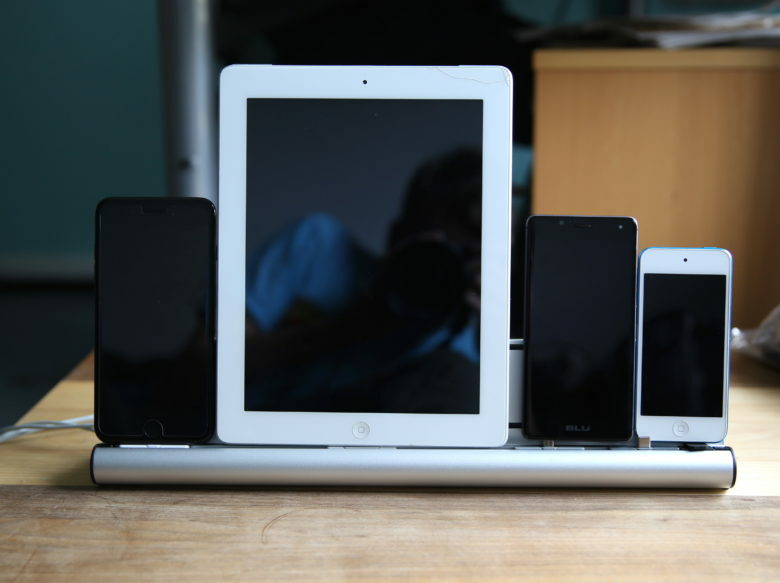 The smallest Udoq will accommodate an iPad and iPhone (or four iPhones). The largest will fit an iPad, six iPhones and an iPod. Udoq is debuting in the U.S. on Kickstarter at a 50 percent discount. Kickstarter pricing starts at 50 euros (around $56) for the small 250mm version, which will be 100 euros (around $110) retail. The largest Udoq costs 89 euros (about $100) now. Udoq provided Cult of Mac with a review unit for this article. See Cult of Mac’s reviews policy and check out more stuff we recommend in our Best List reviews.